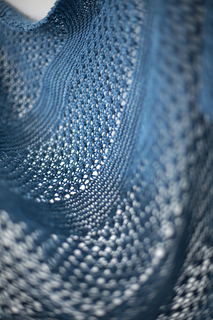 Noble Blue is inspired by the nordic superfood, blueberries. 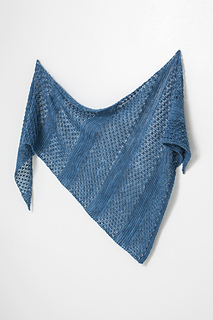 These tiny blue treats are also present in the textural bobble stitch pattern of this shawl. 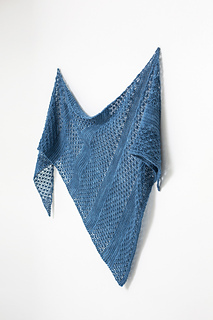 This asymmetric triangle shawl is knitted on the bias. 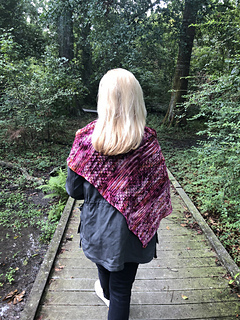 Starting from one tip and working your way through to the opposite side, you alternate blocks of garter stitch and the bobble stitch pattern. And there’s no need to be intimidated by these bobbles, they’re quick and easy to make! 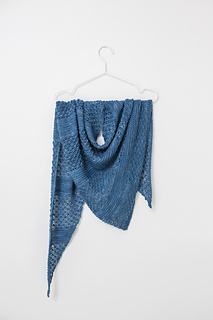 One skein of Miss Babs Yowza (100% Merino; 512 m / 560 yds per 227 g.) Shown in custom colourway Blueberries. Or approximately 476 m / 521 yds of similar DK or light worsted weight yarn. Size 5 mm / US 8 circular needle. Always adjust needle size to obtain pattern gauge. Gauge affects finished size and the amount of yarn needed. This pattern has complete written instructions and optional charted instructions for the bobble stitch. 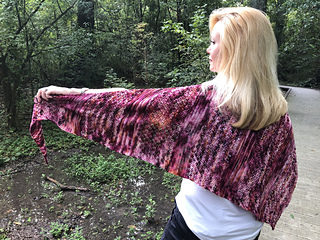 Blocking instructions, detailed stitch counts and a schematic are also provided. 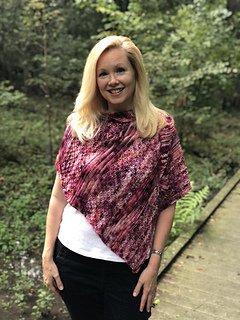 Subscribe to Woolenberry e-letter to be the first to know about new patterns & get exclusive sneak peeks.